Yolo- Good Advice or Bad Advice?? 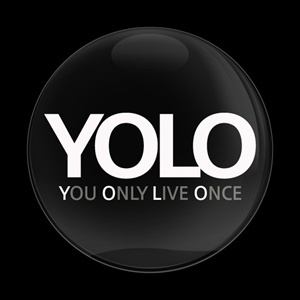 Yolo, hmm, I think it can be good advice but only if you understand where and when to use it. It can be good for situations where you're daring someone to do something new or if you're trying out something cool. It can also be bad if it has life threatening results, such as drugs, smoking,etc. You should only use yolo in an appropriate situation like using it for fun. That's all what I think, yolo can be good or bad advice at the same time.